Trade Shows, conventions, and expos provide your business with the perfect opportunity to maximize your companies exposure and give you the competitive edge. The right elements for your trade show display help attract and educate potential buyers of your product or services. To get noticed on the trade show floor, you must capture the attention and imagination of trade show attendees through engaging signage and interactive displays, attracting them to your booth and ultimately convincing them to become a buyer. 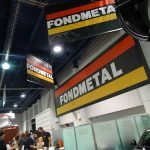 Custom Signs and Wraps handles every facet of your display, from booth layout design to printing, fabrication, and sourcing of any support structures that may be needed for your polished final look. Call Custom Signs and Wraps at 630-448-5558 for your Free Consultation with a Trade Show Design Expert! 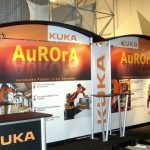 While there are many signage components used for trade shows, the focus point of all trade show signs is the booth display. 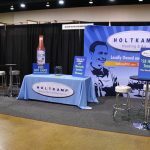 The items you need for your trade show exhibit display will depend on several factors, such as your budget, booth size, and the level of “WOW” that you want to obtain. 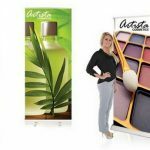 Our expert trade show booth designers will work with you to determine what elements you need to make a lasting impression. From design through local installation, we can assist in creating the right signage, and make sure it is properly displayed for maximum impact. 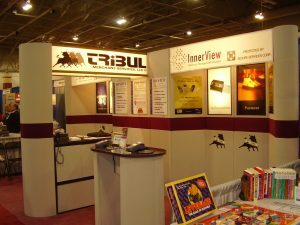 Every trade show booth is unique, but there are many components that they commonly share. 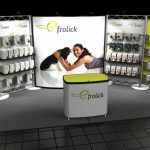 We can assist with your tradeshow exhibit, either designing specific elements to support your booth, or creating an entire high-impact display that is sure to excite and attract visitors. 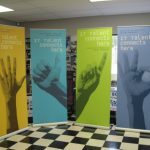 We can design and create an appealing, cohesive trade show signage package, or can provide you with individual signage elements to highlight your most important messaging. A captivating display builds buyer confidence in your service and products, as well as in your ability to deliver. 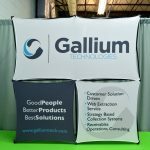 Planning to attend a local trade show? No problem! 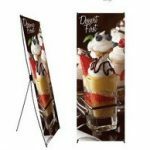 We can create everything ahead of time, delivered directly to the trade show venue, ready for setup. Remove the hassle and worry of shipping your trade show booth components and hoping they make it to the right place on time, shop local and save! Different audiences call for different messaging. 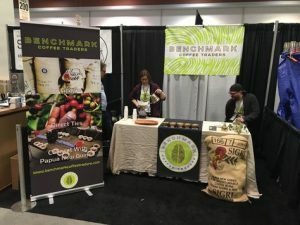 There may be specific components that speak to an individual audience, but would need to be changed prior to attendance at a different trade show. 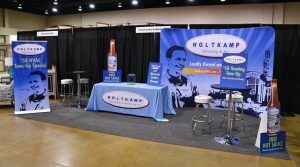 If versatility and targeted messaging is important to you and your brand, we can provide trade show exhibit options that will allow you to quickly and easily swap elements to customize your booth for your specific audience. Custom Signs and Wraps provides attractive, cohesive elements that are sure to get you noticed! 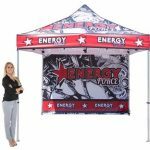 Need assistance designing and planning your trade show booth, or looking for an impressive graphic element to impress and excite trade show visitors? 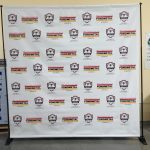 Custom Signs and Wraps is your local trade show display specialists, creating cohesive trade show elements that match your brand and support your goals and sales staff.